Are you dealing with headaches and tension? If you’re looking for a great natural remedy for headaches, this DIY headache and tension relief balm works wonders. Balms can be a very effective way to apply essential oils to your body, for multiple uses, whether it be for mood or for health issues. They work well because you not only get the benefits of the base ingredients in addition to the essential oils, but they stay put on your body longer than if you used just the essential oil straight on the skin. This particular balm was designed to help relieve tension in the muscles and help with headache relief. I personally get tension built up very fast in my neck and shoulders, which causes headaches, so I use it when that is flaring up. If the tension is really bad, you can layer oils on top of the balm as well. The essential oils used in this balm are a powerful combination, and each one adds its own health benefit and relief into the remedy. If you don’t want to make your own, you can buy a pre-made headache balm on Amazon. Frankincense essential oil is used because it is great for the skin. Frankincense can help with neurological issues, so if your headache is more of a migraine type, it will help alleviate that faster. It also helps reduce inflammation, so it helps that tension die down fast. Spearmint essential oil is used for its cooling effect, which immediately helps relieve the pain. The cooling sensation it gives will feel like it is masking that pain, but it will take it away too. Plus, Spearmint just smells amazing! Peppermint essential oil is used for a similar reason. In addition to being cooling, it does help tremendously to alleviate pain and discomfort. For any type of muscle strain or pain, peppermint can give immediate tension relief. Basil essential oil is one oil that’s good for pain relief, and can be underrated sometimes as far as oils go. It is great for ear pain and for muscle pain, and if your headache is radiating near the ear or temple, it is perfect oil to use topically there. Lavender essential oil is used mainly for its calming effect. It will help calm your mood, your tension and the stress in the muscles. It will also help you sleep if you are dealing with the pain at night. In addition, it’s great for the skin too, so it helps in that aspect as well. 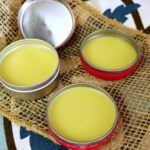 This recipe makes more than one container or balm, so depending on the size you get, you can make extras to give away, or to keep for backup. 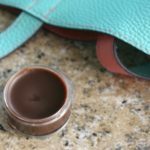 I use smaller containers so that I can keep them in my purse or give them to people easily. If you don’t have all of the supplies on hand to make this natural remedy for headaches, you can also purchase a pre-made headache balm from sites like Amazon. Chop up your beeswax first if you need to do that. Otherwise, you can start by filling the bottom half of your double boiler with water and setting it over medium-high heat. Add the top half of your double boiler and put your beeswax in the pan. It takes a few minutes to start to melt. once you hear the water getting close to boiling, turn it down to low. The last thing you want is for the wax to burn, so just keep an eye on it once you notice it’s beginning to melt down, because it does go much faster at that point. While the max is melting, go ahead and line up your containers so they are ready once it’s all melted. I used 9 containers in total and they were close to half an ounce each, but I’m not 100% on the size because they weren’t marked. Then measure out your coconut oil and sweet almond oil. Once your wax is melted and clear in color, add in the coconut oil and stir, letting it melt. Repeat with the sweet almond oil after that. Remove the pan from the heat and allow it to cool slightly (but not harden). Then, add in your essential oils, one at a time. Be careful not to over pour them, as most of these oils are runny in texture. Stir well. Now, you are ready to pour your headache balm into your containers. Keep the heat on very low in case you need it to soften up the balm, as it does set up quickly and sometimes while pouring you may need to do that if you don’t move quickly enough. 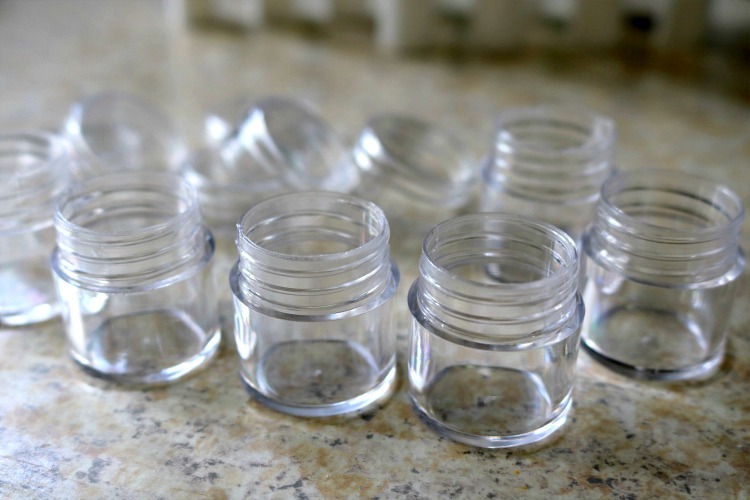 Pour your headache balm into containers slowly, filling a bit below the top edge. Repeat until all of your containers are full. Now, leave the containers at room temperature on your counter to cool fully. This will take about 30 to 45 minutes. Feel the bottom center to see if it has cooled all the way. If it has, they are good to go. Now all that’s left to do is to make a cute label for them if you want. I use a little scotch tape over the labels to keep them from getting dirty with use, too. Apply a pea sized amount over the back of the neck or any area of muscle tension and rub in all the way. Apply to temples and down hair line for headaches, and layer with essential oils of peppermint, lavender and/or frankincense for more tension relief. 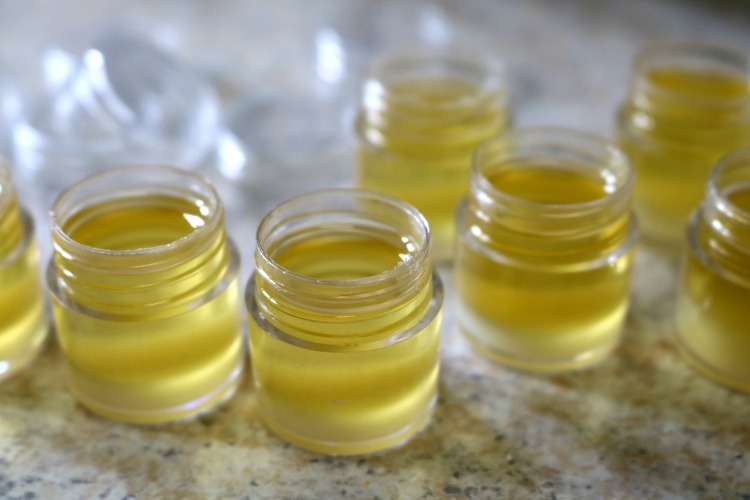 Buy a pre-made headache balm if you don’t have time to make your own. Get Headache Relief in the Bath! Looking for more natural headache remedies? 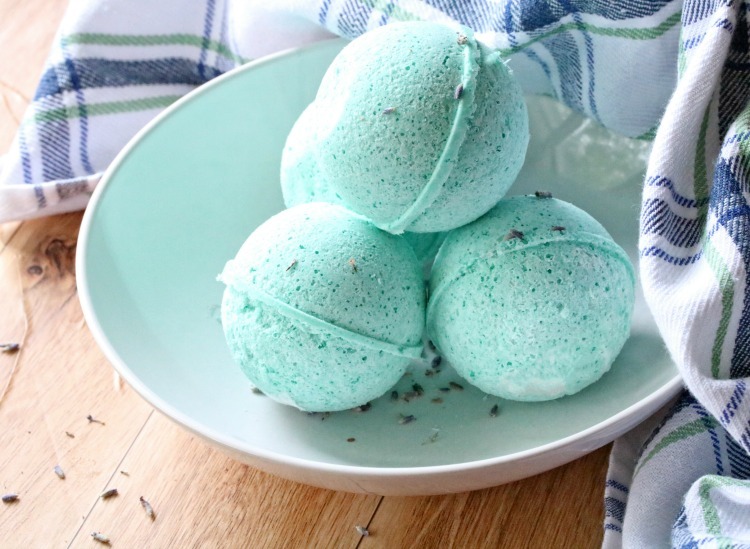 Try making these DIY tension relief bath bombs. They smell absolutely amazing! You can even modify them to use the same essential oils that are used in this headache balm for extra tension relief power. What’s your favorite way to use your headache and tension relief balm? Be Sure to Pin This Post to Your Natural Remedies Board! How much coconut and almond oil? Would you be willing to link the containers you used if purchased online? I love the size you have found. I haven’t tried making it without coconut oil. Have you tried refined coconut oil? It doesn’t have the coconutty smell. 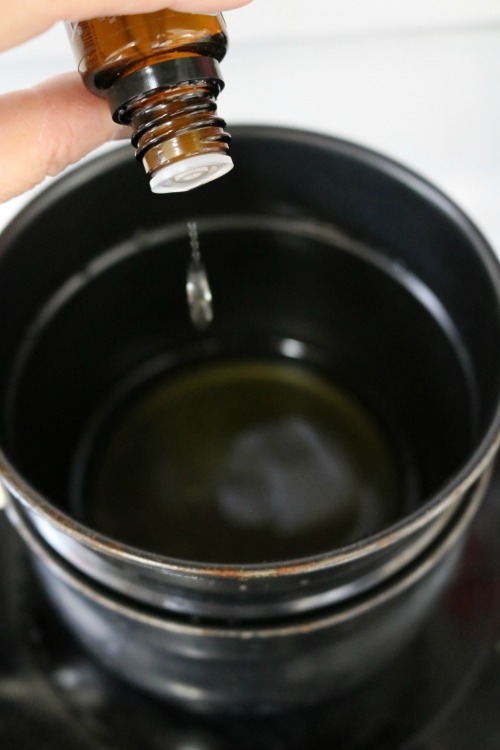 You could use another type of oil, but you might need to add more beeswax to compensate. You could also use Shea butter or Cocoa butter. The balm just won’t solidify quite as much. If you make it with the coconut oil, the essential oils dominate the smell and you don’t smell any coconut. I’m allergic to lavender any suggestions for replacement oils? You can try coriander essential oil in place of lavender eo. What about using it on children. Are essential oils safe for kids. My son suffer from headaches and I would to try it. How old is your son? Some people prefer to avoid peppermint oil with kids. You can also try cutting back on the number of essential oil drops so it’s more diluted for him. Can the oils & wax be melted in the microwave with success? I would never recommend microwaving essential oils. It will destroy the beneficial properties. I don’t use a microwave so it’s not something I’ve tried. You should be able to melt oil in the microwave oven although I have never tried microwaving beeswax. Can you use another oil rather than almond oil or jojoba oil? Something easier to find? You can always sub olive oil, fractionated coconut oil or any other liquid oil you like. Can this be used as an actual lip balm as well? I haven’t tried it, but don’t see why not! I have a great-niece that is prone to headaches, but the poor girl is also deathly allergic to lavender. Is there a substitute you can suggest? Thanks in advance! You could try coriander or leave it out! I’ve dealt with migraines for over 30 years. 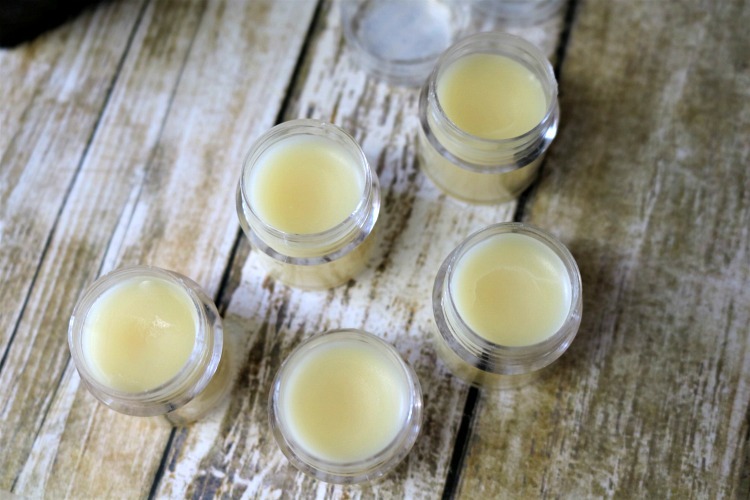 I made some balm of my own using peppermint, lavender, and clove essential oils. I think I’m going to try this one too. 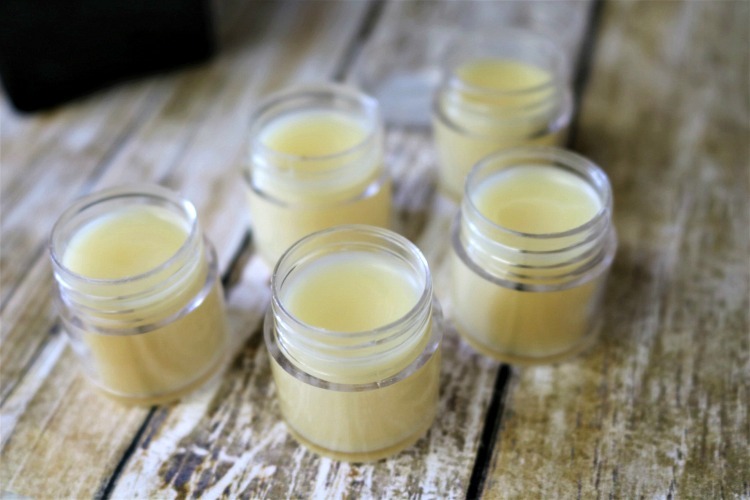 I also want to make some of the balm for sinus relief for my husband who has a lot of problems during the winter. Perfect timing. Thank You! I live in a region with Chinook winds and headaches are common here i would like to make a bunch of these for family for Christmas but need to know how safe for the little and old family members? And what is the shelf life? You could. It would be very soft, so I usually recommend refrigerating so it’s easier to use if you don’t add the beeswax. This is spot on and I bet is smells refreshing!! i followed the instructions to the key. it has now completely cooled. but i was wondering is it something to get back completely hard? how then do you apply it, rub it on? should i be soften it first? Yes, you use it just like any other balm. Rub your finger on it to warm it so some goes onto your finger, then massage it into your temples and anywhere else you need relief. thanks… i must have done something wrong because it has solidified to the point that the only way to get some off is to dig it out with something…oh well..
You can melt it down again and add more oil. It sounds like you may have added a bit too much beeswax. 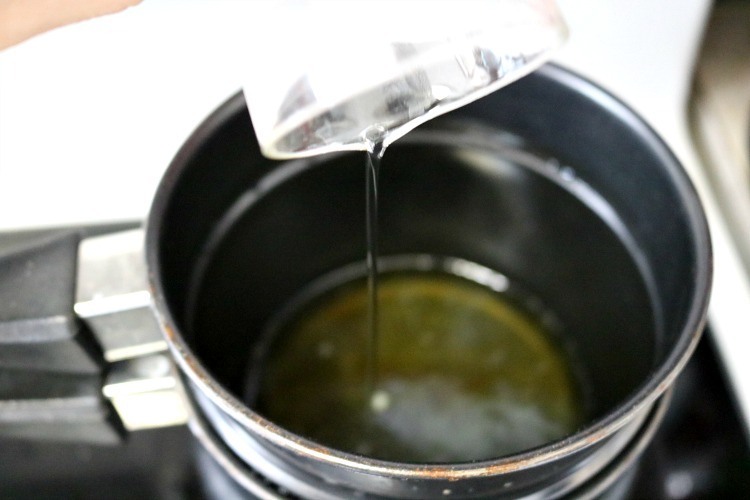 Do you use both coconut oil AND jojoba oil in the same batch? Yes. They have different properties. Ok this sounds like a good thing to try but is the the recipe correct ? 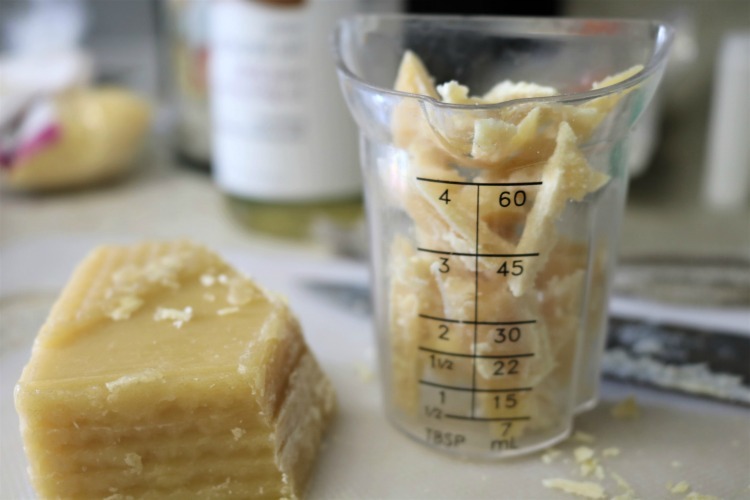 3 tablespoons of beeswax and 2 tablespoons of almond oil is not going to make six jars, ,, am I missing something ??? There is also 2 tablespoons of coconut oil. These are very small jars (about 1/2 ounce each), so yes, it’s correct. Same shelf life as the soonest expiring ingredient you used. Is the 3 Tbs beeswax 3 Tbs melted or 3tbs pastilles? I have had migraines for 15 years. I can’t wait to try this. Thank you for sharing. Blessings to you. Can you use soy wax instead of bees wax? That’s not something I ever considered. I don’t typically use soy wax in my DIY products and I’m not sure how the consistency compares. If you try it, will you let me know how it worked? It’s wonderful to hear that! Thank you for sharing! I would love to share this on my new blogger page. Can I have permission to do so. Oils are very popular and I would like to show people that you can use them to make things like this. Please send me an email if you can with permission rights. Thank you. You may share a link to this recipe, but please don’t post the recipe on your blog. Thank you! I love this, so cool.